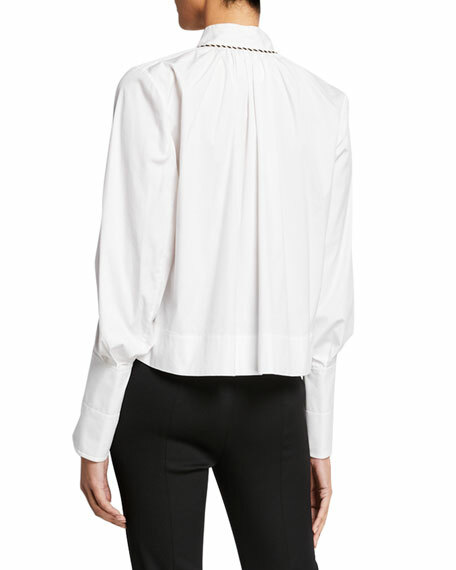 Pleated poplin shirt by Oscar de la Renta. 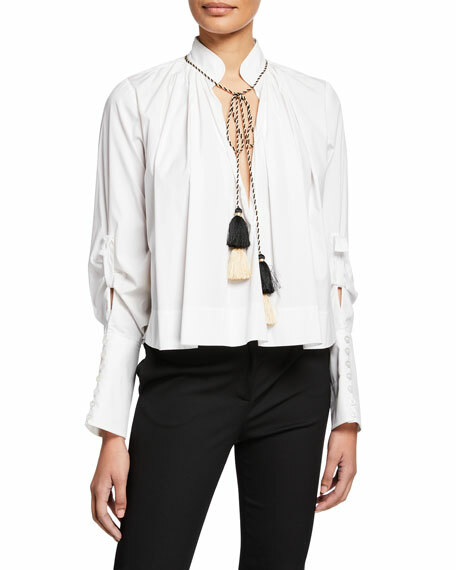 Stand collar with tassel ties. Long, draped sleeves with elongated cuffs.